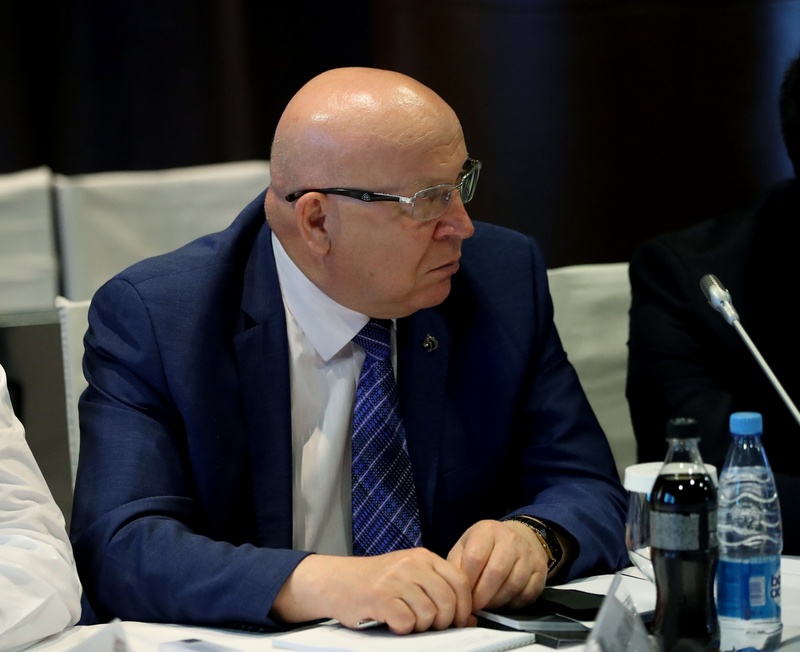 Just before the Closing Ceremony for the 10th anniversary KHL season, the directors of the league’s member clubs held a meeting. 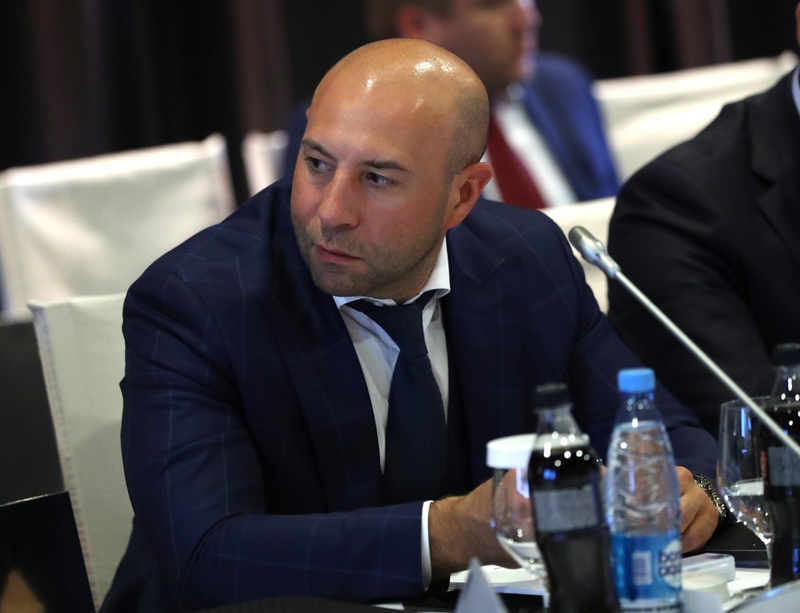 In the course of the discussions, league president Dmitry Chernyshenko led a review of the season just gone, unveiled the new team rankings, and explained the league’s future development strategy and the projected schedule for the coming season. – Together with our fans, the directors of the club were able to climb the KHL ratings. I have a couple of questions about it, but they are objective queries. It’s not a surprise that SKA is on top: they have an excellent infrastructure, a full arena, and the team’s performance reflects that. We would like to be higher, we will strive to get there. We will work on our problems, but it’s never easy to fix everything at once. The players and coaches are happy that they will play 62 games next season. The guys want to play as much as possible and 31 home games is just great. A game on tour in Europe? I doubt we would be chosen. But if we’re playing against SKA or Jokerit that weekend, then we would only be too happy. They would have no home advantage, so why not go for it? – The league is following the strategy outlined by the board of directors. The wage ceiling and the ratings system will all be used to improve the system and increase clubs’ commercial income. In addition, we summed up the outcome of the season and congratulated Ak Bars on winning the championship. We were told about the projected schedule and we are pleased that Severstal’s wishes have been taken into account. Yes, right now we are bottom of the rating. But we will keep working, and not just on the ice where we had a successful season and made the playoffs. We have to improve on every part of the ratings, to see where we can improve – especially in terms of attendances and TV audiences. Severstal has plenty to aim for, plenty to develop. 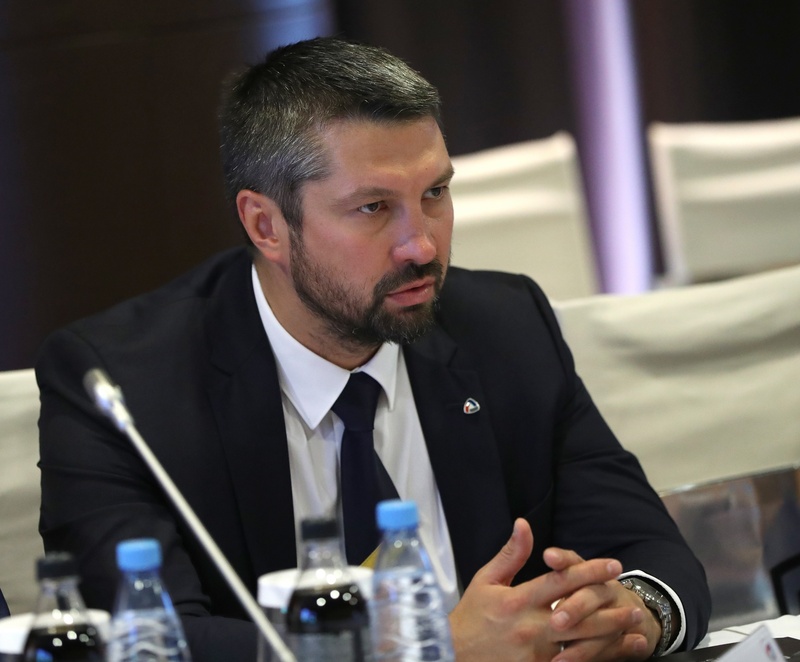 – Every club should develop the brand of both the KHL and its own club image. We need to engage in more commercialization and be less dependent on other income sources. We must generate revenue from our games, and by finding other uses for the arena during pauses in the schedule, this will increase the cashflow. In Astana, we had a positive experience with the Week of Hockey Stars and now we are looking forward to hosting World Championship Division IA next year. We have never held this before and we are looking forward to showing our new arena to our European colleagues. Our task is to find young players and revitalize the team. It’s an unpopular approach, a painful change of the generations, but we hope to see a new Kazakh team emerge from this mix which, in the past, has given us some top names. Now we are exploring the possibility of staging a game in Almaty to try to popularize the club in this city and push the issue of a second Kazakh club joining the KHL. Almaty has 2 million inhabitants, a good infrastructure and two high-quality arenas ready for any action. – It was my first time at one of these meetings as a representative of Dynamo and I learned many things that will be useful for me as I start out as a club director. I’ve already got a good understanding of the development strategy through 2023, of what will change. Quite significant changes are coming every year. It’s important that today we heard in advance about next season’s schedule. For Dynamo, it’s very important because we will play half the season at Khodynka and then return to our home arena from January 1. Therefore it was important that the calendar was drawn up correctly now that it seems we have resolved all of the issues with Megasport and with the KHL. So I think we will get through this year of resettlement OK.
As for the development strategy, I think it’s important that the salary cap is being brought into order. To be honest, I’m not quite sure what is meant by a ‘star’. Who determines which players are stars or not? If it’s players coming from the NHL, that’s one thing; if results on the ice are taken into account, that’s different. We must strive to ensure that there are more than just a couple of strong teams in the championship. If every match is a battle, then all the players will come out prepared for that. Just look at Switzerland in the World Championship. Dynamo dropped one place in the ranking, but you all know how much had to change in the club before the season began. The new team came into the season almost without any preparation time. Strong players left and we had to play with the ones we had left. I don’t think this past season was a slump caused by inadequate planning. We have a plan, we are recruiting widely. This combination of recruitment and serious preparation will hopefully enable us to improve the situation. After all, we only dropped one place. – I’ve not yet figured out the rating system, but I can already say it’s really interesting. In a little while they’ll send out the full criteria and I’ll understand it better. I saw that my club dropped one place, form seventh to eighth. I need to understand everything so that we can improve next season. Of course, the rating encourages us. We will definitely try to reach the top. The commercial activities of our club are very important for us. We noticed how this lagged behind last season and we will work on it and find extra finance for it. The schedule? We always like to play against strong opposition. It gives us more chances to sell-out our arena. I’m happy about the increased number of games. It will bring more fans into the arenas. The league is organizing more televized games and both the league and the individual clubs can profit from that. There’s no problem with keeping the international breaks. It doesn’t disrupt the championship and I’m sure my team will benefit from them. – We had lots of interesting things to talk about and there was some lively discussion. I think the clubs and the league are on the right path. We got detailed information about the strategy and we will analyze it further. Torpedo fell in the ratings? Those ratings are important for every organization, we can’t afford to ignore them. We will strive to improve our position. For example, Torpedo could make itself a more attractive commercial proposition. At the moment, we’re in talks about building a new arena for the team. We have a chance of a new home, but it’s not clear when it would happen. We are obliged to our old Nagorny arena and we can get a bit more out of it yet. If Torpedo gets to play more games against our biggest rivals, that can only make the games more interesting. Any derby, any rivalry adds interest for fans and players. These are the games where hockey players grow, take their skills to a higher level. Arranging more of these showdowns will help Torpedo and the rest of the KHL.